TRAILERS BY BÖCKMANN - First class transport. Böckmann has been manufacturing utility trailers, horse trailers, cattle transporter and horse trucks since 1956. 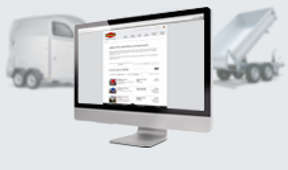 As a market leader for horse trailers and a leading manufacturer for car trailers throughout Europe, the family business has sold more than 750000 trailers over the years. 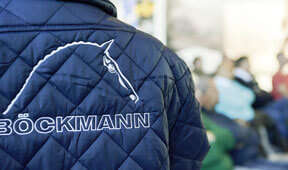 "By practitioners for practitioners" is the motto of Böckmann and its 300 employees, because its development of trailers and transporters is underpinned by many years of experience in the horse riding and transport industry. 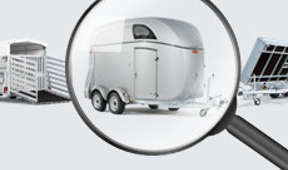 Find your horse trailer or utility trailer now online with our product configurator, or contact one of our dealers in your area for a professional consultation. You can rely on our 60 years of experience in the development and production of horse trailers, car trailers and livestock trailers and the individual manufacture of trucks for horses.